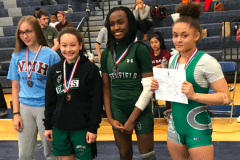 Two Deerfield teams travelled to Natick, Massachusetts today and competed in a qualifying tournament for the right to advance to the next level. 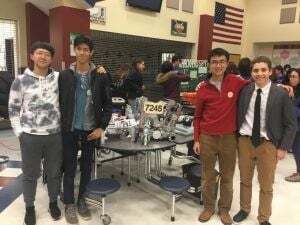 The upperclass team, Big Green, of Neil Nie, Elven Shum, and Will Song, built a robot that endured some on the spot repairs, including a broken cable, but finished seventh overall. Their performance was enough to advance them to the elimination round. The won a best of three semifinal round to enter the bout of the final two alliances. In a narrowly contested match their alliance (team-up with another school) lost earning a second place overall finish. For the underclass team, Boyden’s Bots, this was their first competition. Rosnel Leyva-Cortes represented the team and was driver, programmer, and engineer for the day. Their robots earned a very respectable finish of 15th place out of 25 teams. The teams will compete again on February 9th in Hadley. 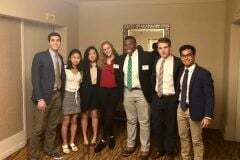 Eight DA students drive to HMUN 2019 to solve current issues around the world!